The most distinguished multi-disciplinary design outfit in the region, taking on design challenges as far as Helsinki, Hong Kong, Vietnam, Taiwan and Singapore. DMZ Group employs the world’s best designers to elevate your space to the next level. Photography courtesy of DMZ Team. First expansion in Asia. Huone founded in Helsinki, Finland. We DMZ work very closely from conceptual design to contract management. 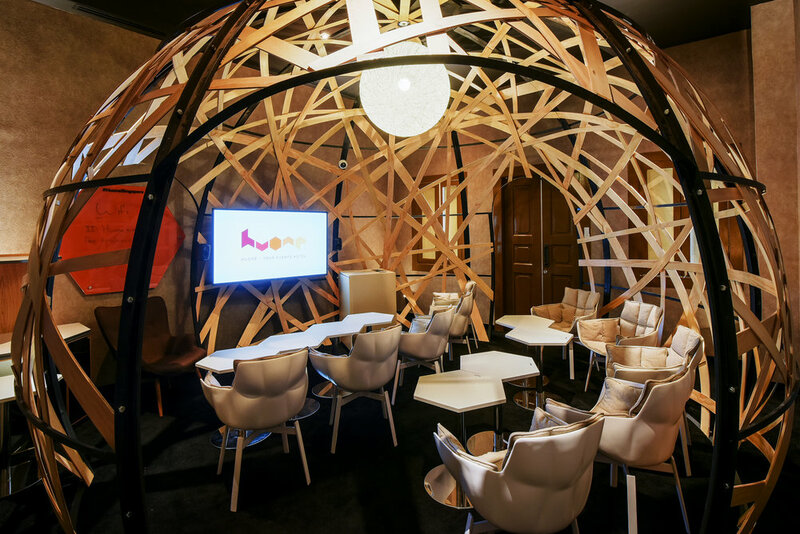 Huone Singapore equipped with 11 themed meeting room and a dining lounge. 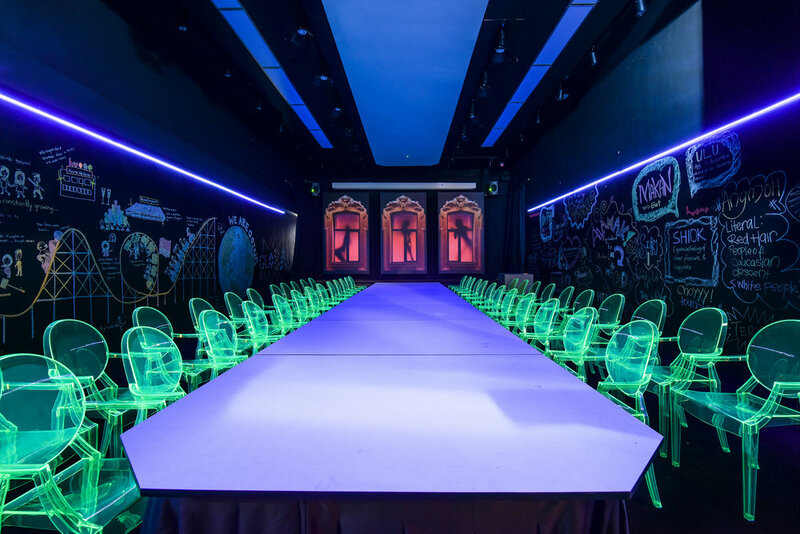 Concept highlights includes, Peranakan-styled inspired Dining hall, Meeting rooms with Warehouse, Theater, Clouds, Runway, Forest, Nest, Time, Sandbox and more. 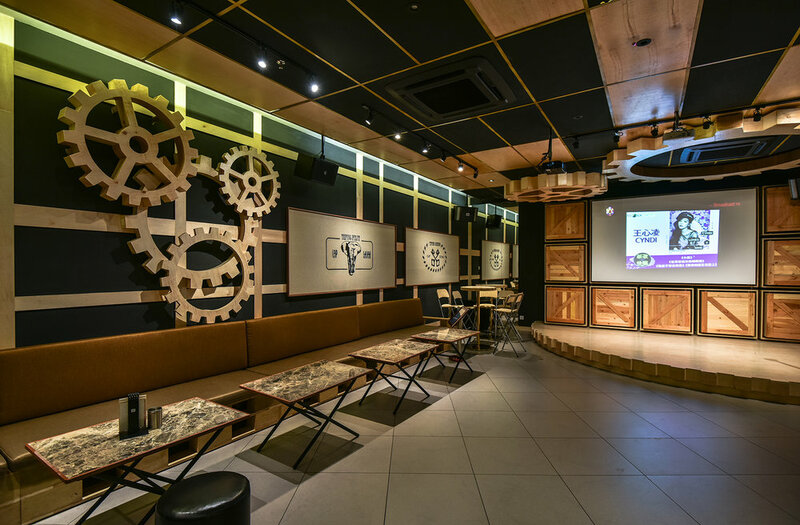 Huone is the largest themed-meeting venue in Singapore, area with 2000 square meters. 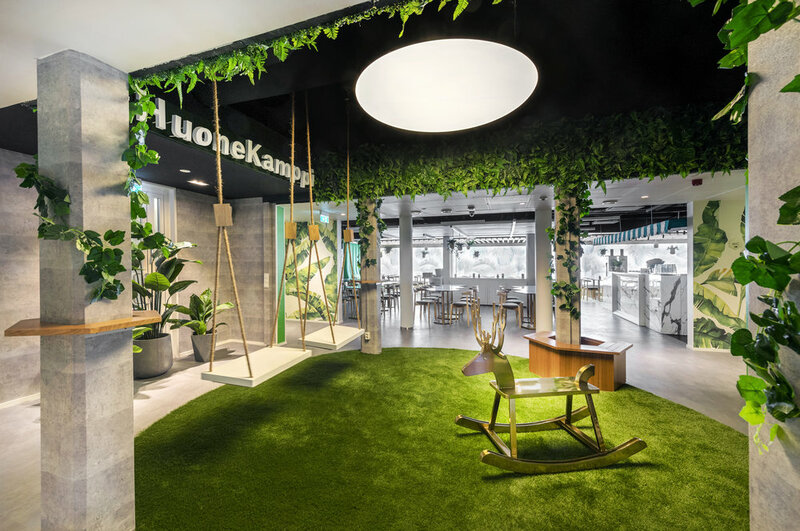 The new Huone Events is located in the downtown of Kamppi, in the centre of Helsinki. The heart of Kamppi is a part of the city’s Central Business District. 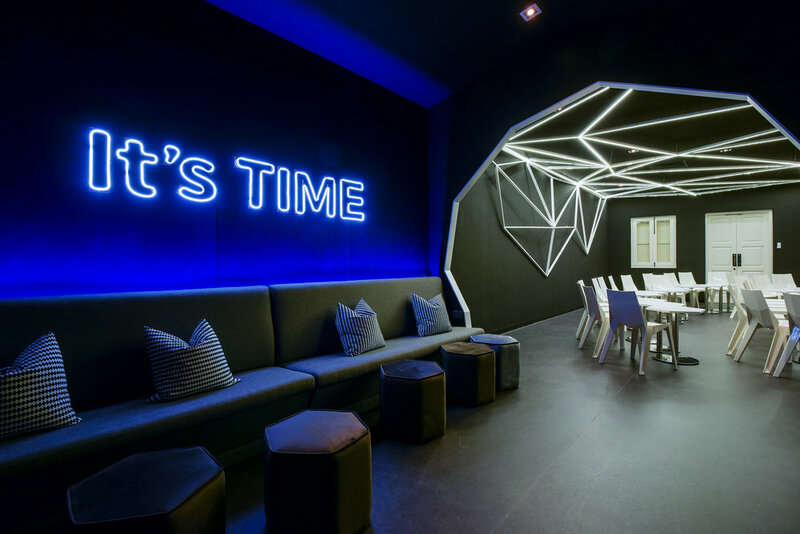 In keeping with design style and approach with all other Huone Events, the 4000m2 space offers 10 individually themed rooms complemented with an artfully designed dining and networking lounge. The wait are over, Red Box opens new outlets in Empire Subang Shopping Gallery. With 28 individually themed design featuring nostalgic memories from town and village of Malaysia. Some of the interesting theme are Flour Mill, Spinning Tops, Tin Biscuit Container, Bicycle, Bird Cage and Clay-pot. Huone 2.0, expansion project for the events hotel located in Helsinki, Finland. 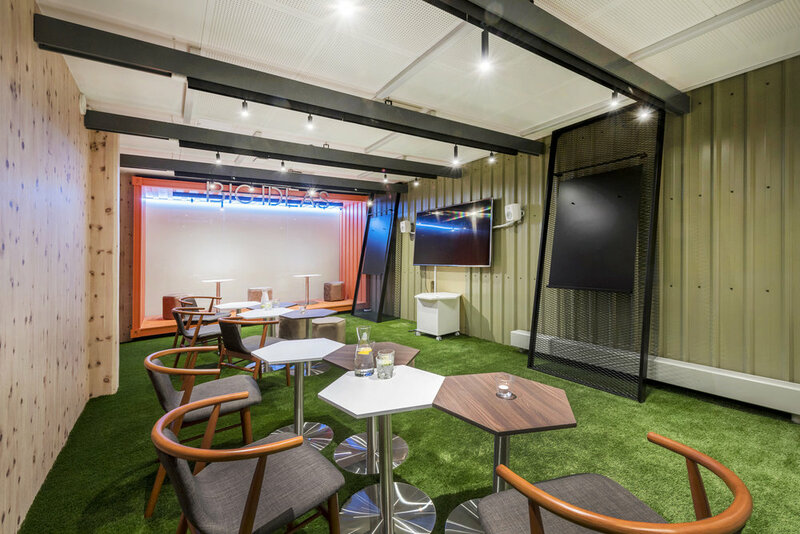 4 new themed meeting rooms, park-themed reception and "Loistava" Lounge ( Wonderful ). This concept re-cap all childhood memories and makes the space so much of fun and happiness. Design features includes adult-sized rocking horse, a pair of swing chair, merry-go-around, ferries wheel and wooden plane. 4 new main themed meeting rooms - Magic, Vintage, Rainbow and Electro Room. Floating geometric dynamics accentuated at ceiling level bring a loud, prominent statement to the interior space. 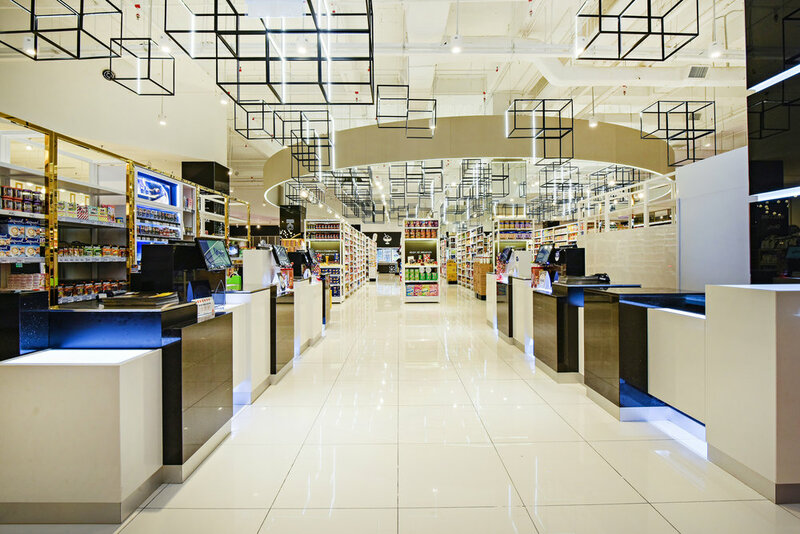 Gone are the ubiquitous symmetric rows of lighting installation of days yonder; now replaced with aesthetically pleasing light-cube structures that float above the entire retail floor space. The dynamic circular pelmets meander between these structures, teasing and guiding, and directing flow - subtle and intrinsic. Stereo-typing of generic, perfunctory space-planning disciplines has been relegated, giving thrust to new, meticulously crafted, yet captivating design directives. Energetic interior - well designed with emphasis on natural energy sources like water, forest and sun. The floor space represented with forest zone, aqua zone and sunset zone. To convey a majestic and dignified ambience, this outlet utilise a rich, earthy palette. From its deep brown wood-inspired doors and panelling to the pastel-hued furniture, every element exudes calmness and reliability. Inspired by Eu Yan Sang’s corporate identity, this concept perfectly sums up the philosophies and vision of the health and wellness industry leader. 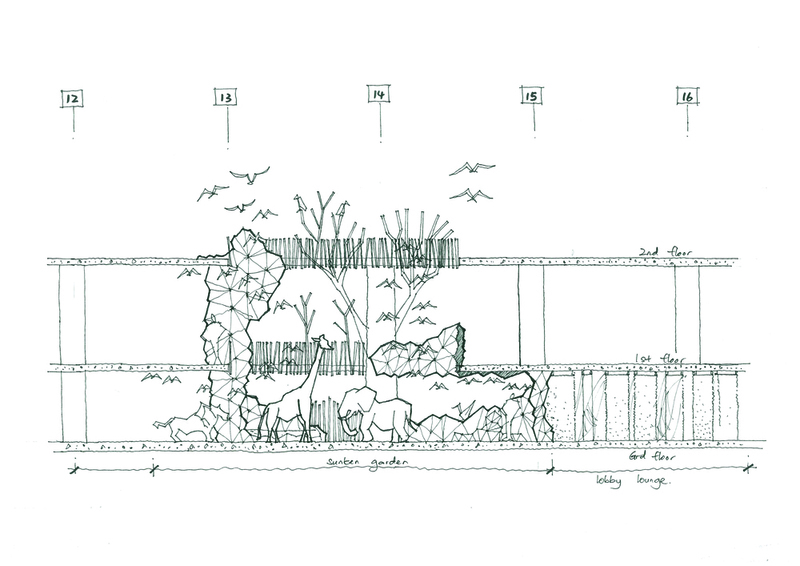 The designer translates the garden concept as the meeting of raw nature and the human imagination in which both seek the fulfillment of their beauty and joy. A joyful place to be at, alluding to the designer’s aspiration. This beautiful interior design and fit-out assignment won DMZ the FX International Interior Design Award 2009 in the Club and Entertainment Category. 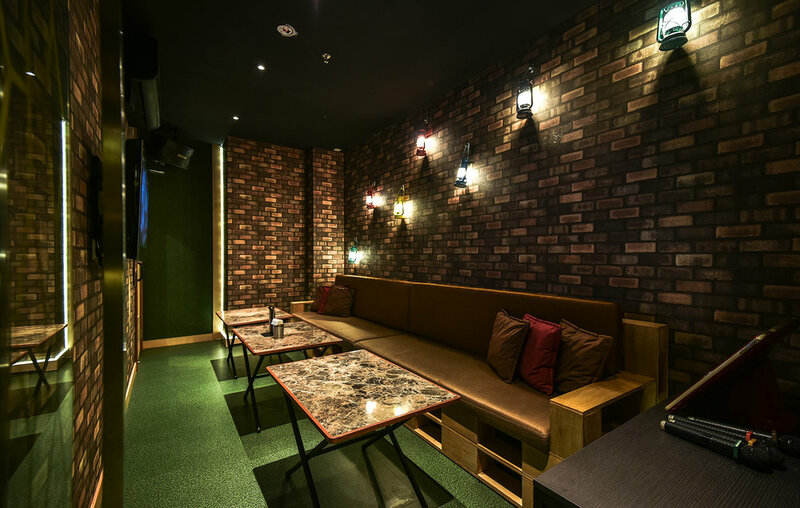 Nested in the fast-growing sub-urban enclave bordering the northern perimeter of Cheras district resides one of Kuala Lumpur’s newest hospitality discoveries. Vivatel aims to be consciously different, the interior theme and fit-out of the entire hotel lives up to its claimed credentials as a ’Designer Hotel’. Exhilaration is the favored catch word to describe the fabulous interior fit-out program throughout a mesmerizing 302-Room, 18-Suite GBI (Green Building Index) certified hotel that comes complete with a grand ballroom, several meeting rooms, a Retro Cafe and a Club. DMZ who was commissioned to the project faced the challenging task of an extremely tight delivery schedule to begin with, in addition to having to design all interior fit-out elements that must be compliant with a GBI-status design brief. This warranted the adoption and use of recycled material in the likes of aluminum, melamine boards, glass and vinyl flooring. Off-site fabrication of several fit-out and case good items added to logistic challenges of the renovation works. The entire design and concept of the hotel’s themed interior and décor was inspired by Elements of Nature – wood, water, metal, fire and earth, that became the creative stimulus culminating in the lavishness of fostering every floor with different elements and remarkably, the hotel’s top floor with 40 different themed rooms! Highly impressed with the concept of a contemporary approach towards Red Box’s themed interior concept that gelled with a visitor’s vision for his Events Hotel interior model, it took little convincing on the part of the potential client to consider hiring the professional services of DMZ to undertake this esteemed project located in Helsinki, Finland. Huone and DMZ have unquestionably got their concept right for the Huone Events Hotel was conferred the prestigious ‘European Property Award - Interior Design: for the year 2013-2014’ naming it the Best Leisure Interior Europe. The marrying of Melaka’s old charm. appointed with a new interior design commission – to design a new TANGS Lifestyle-concept store in the historical city of Melaka. Aptly called ’TANGS, The Shore, Melaka’ – a new level of retail experience hits town! The marrying of Melaka’s old charm, its history, culture, art and architecture – with new expectations in the likes of upmarket highstreet retail bring about a well juxtaposed concept of blending old culture with new lifestyle indulgences, bringing forth a fusion of the eclectic with the contemporary – a design approach that DMZ is well acquainted with and profess all along. The interior concept whispers of contemplation, balance, peace. Lines are simple, vistas unobstructed, light abundant and the overall feel, calm. Nature has an immense influence on Japanese style, inspired by earth, wood and stone. The random tone of pinewood used in this interior with bamboo screens to match, adds up to a neutral, subdued colour balance. A pleasant departure is in the intended use of dark colours on the walls to accentuate the pale and mid-tone woods. An open, flowing sensitivity is cleverly achieved despite the assemblage of dining and built-in furniture and display cabinets, all primed in precise, regulated geometry. The sensitivity of hand-drawn lines as portrayed in this architectural perspective drawing clearly flaunts the remarkable sensuality of the line drawing; a simple line, when executed, that can achieve variable thicknesses through a single stroke to emphasize the visual impact where desired. This authenticity alone sets it significantly apart from digitally constructed drawings that you see constructed on computer screens. Elegant in style, the floor is covered in luscious semi-lacquered strip-timber. The choice of using a raw white-washed brick wall feature as the primary vertical visual element at the Reception Area complemented with contemporary wicker chairs bring forth an exuberant ambiance reflecting warmth and freshness that is reminiscent of tropical interior spaces. The simplicity of the case goods design spotting a clean line minimalist design approach, complemented with carefully arranged task lighting, dynamically enhances the merchandise display. 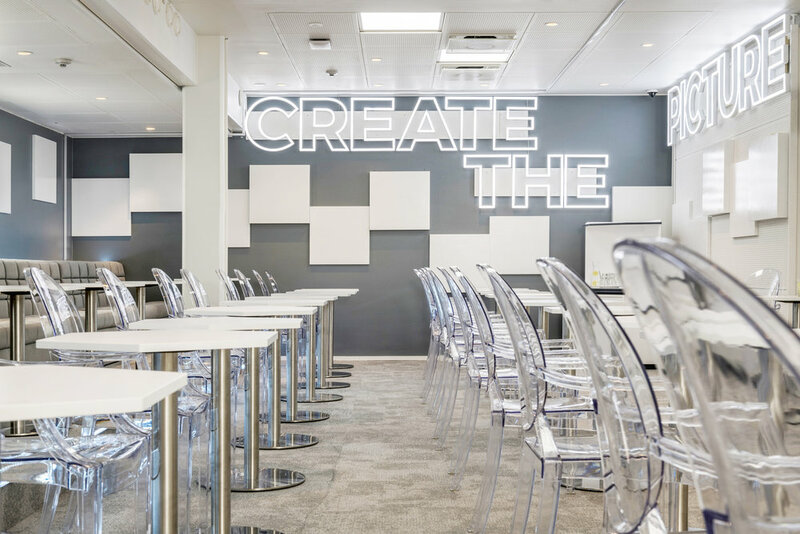 The signature style of L’Oreal’s visually-engaging merchandising strategy is once again successfully replicated in this flagship outlet. VOIR GALLERY at The Mines, located in Selangor’s Mines Resort City, a “family-focused” shopping mall which provides shoppers with a complete offering of retail, entertainment and dining options, offer the south of Kuala Lumpur’s city residents and customers a shopping experience to seek out the same quality of merchandise and level of shopping comfort that is found in the inner city VOIR stores. Adored with light, textures and natural elements, this house radiates serenity through the combination of the neutral colour scheme, vivid splashes of colour and fine finishes. A pleasant interior concept with touch of tropical approached. Stylish rounded living hall united the feeling of warm and cozy homes.